Galleria de Paco is unlike any dining experience...anywhere in the world. 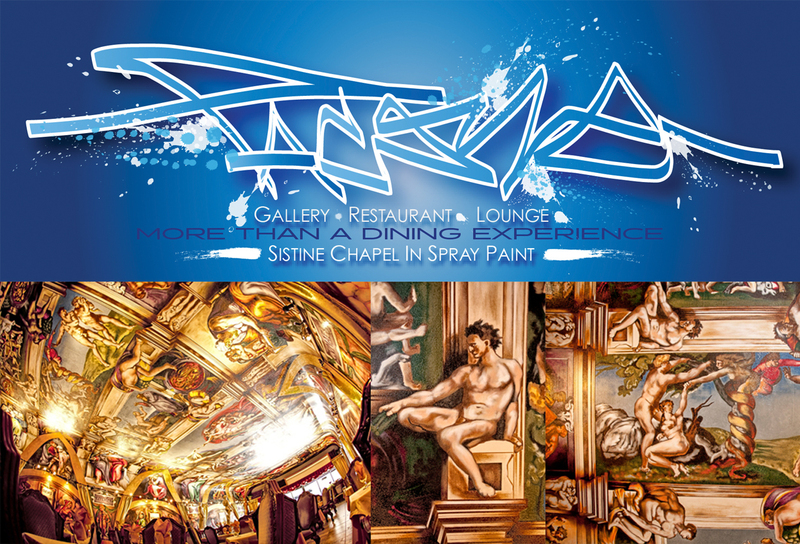 From the one-of-a-kind spray painted re-creation of the Sistine Chapel to the gourmet dining experience, it is a feast for the eyes and the stomach. Not only is it a favorite of the lucky locals who get to enjoy the space when ever they want but people all across the country and around the world are learning about The Midwest Wonder. Galleria de Paco has caught the attention of network newscasts, The Rachel Ray show, The Los Angeles Times and countless other media outlets. Join us and learn what everybody is talking about! Galleria de Paco is the perfect venue for dates, friends, families, business celebrations or private tour groups.